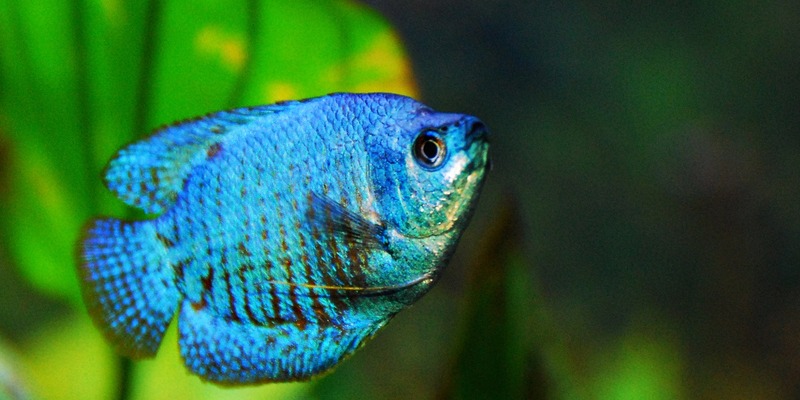 The Neon Blue Dwarf Gourami is an easy to keep fish with a lot of personality. They are great for the peaceful community aquarium. These fish enjoy plenty of spots to hide behind, so ensure your tank has plants or decorations. They often enjoy the company of other dwarf gourami. Feed them a mix of flake, frozen, and live foods for best coloration and health. 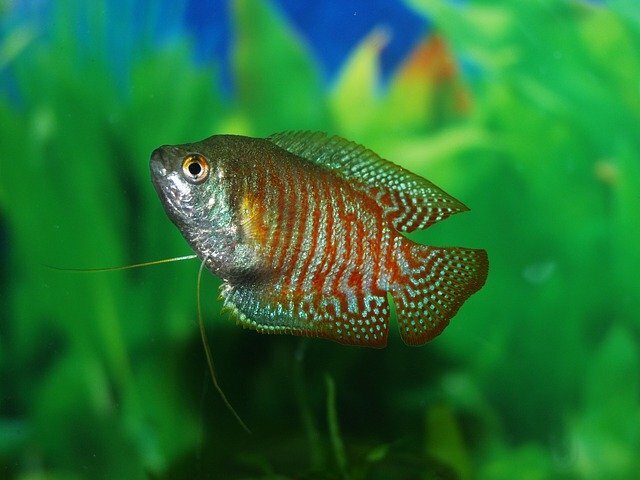 Be sure the gourami has access to the top of the tank as they are considered Labyrinth Fish and require to be able to breath from the top of the water, the same as Betta fish do. The neon blue dwarf gourami is a bubble nest builder just like the Betta fish. Often you will see the males building bubble nests along side of floating plants, which helps to hold the nest together. Striking color and a passive attitude makes this fish a great addition to any peaceful community aquarium. Often dwarf gourami enjoy the company of other dwarf gourami species.